What do you carry? How do you carry it? The bag you choose says much about you. Like a hat, it alters not only your look, it also alters your silhouette. And for those familiar with character design silhouettes (whether it be for stage, screen, or on paper), shapes are more recognizable than even colors. It is for this reason that bags should match our desired silhouette. It is often why we are messenger or backpack or briefcase. 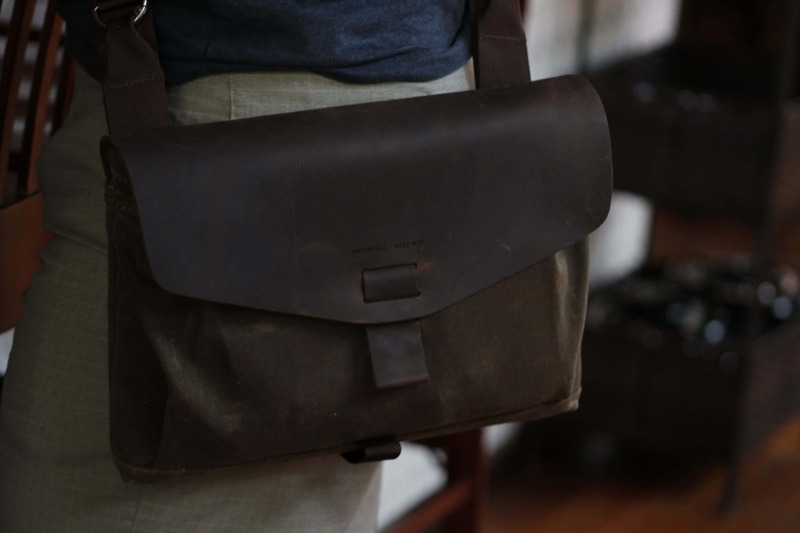 The Waterfield Designs Outback Solo meets the silhouette I’m looking for. The second reason is one of utility (and the order of these priorities varies). Do you have a laptop, paper files, camera lenses, carabiners? Are you burdened with dongles and a thousand other tech accessories most people have never heard of? The list you provide dictates which bag you choose. This is where I’ve gone wrong in the past and where I intend to set things right with the Outback Solo by WaterField. The Waterfield Designs Outback Solo comes in a few colors, but this chocolate color works well with many fashion choices. Many of us carry too many things and we carry them all the time. Every day we head off to work with a bundle of things we’ll never look at, let alone use. And still we persist. So before selecting the Solo, I thinned out the contents of my everyday bag — a brandless, characterless, black nylon laptop messenger big enough to carry two 15-inch MacBook Pros in the main pocket, every charger a family of four might require, extra pens, highlighters, and more. When emptying it, I even found a couple asthma inhalers in a pocket I had entirely forgotten about. 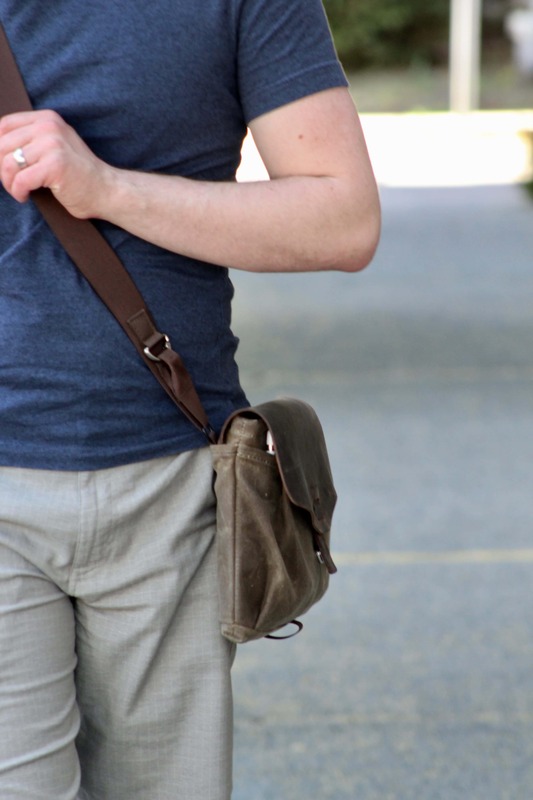 In short, the messenger bag had some serious Mary-Poppins-level carrying capacity. Good utility. Bad for the silhouette. My list of everyday carry needs isn’t extensive, but finding the right bag had been difficult. It all had to fit — and would have in the Ristretto — but nylon didn’t feel right. I expanded my search to include leather, canvas, and brands large and small. 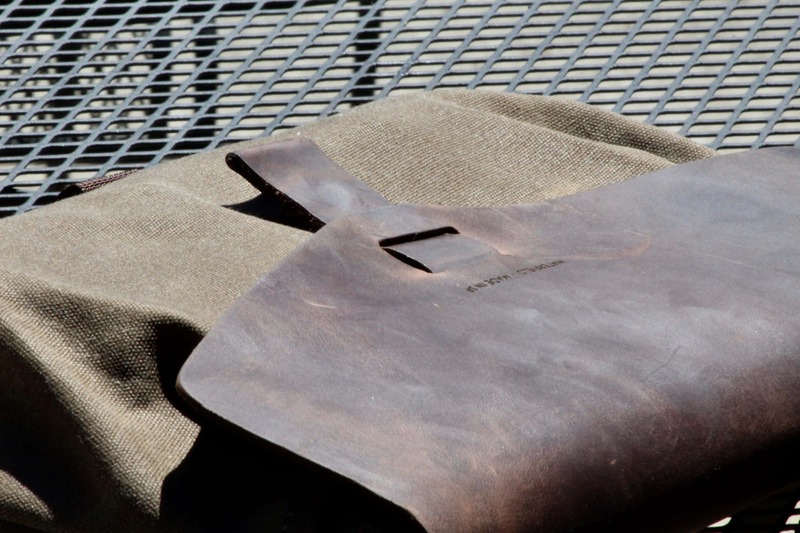 Then, through a chance post on a MacRumors forum, I discovered WaterField Designs. And what was featured? The (at the time pre-release) Outback Solo, specifically for the iPad Pro 10.5-inch. 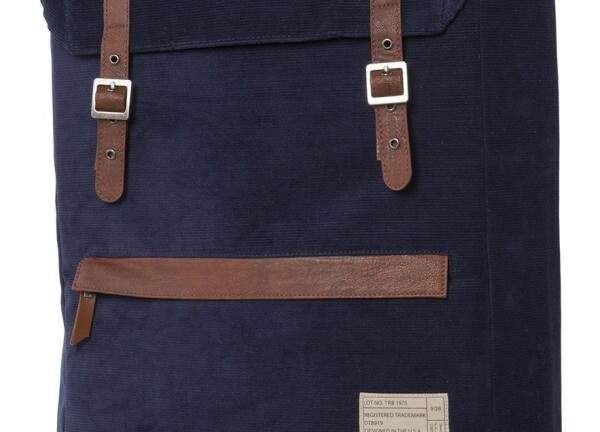 The combination of waxed canvas and full-grain leather won me over almost immediately. However, the bag was made ostensibly to carry only that one specific device. The helpful customer service rep even said as much when I asked. They also mentioned their generous 30-day return policy. The Outback Solo comes in a few different sizes. I went with the 13-inch MacBook Pro size to ensure it would fit my 12-inch MacBook and 10.5-inch iPad Pro. So, with the hope that both my devices would fit, I bought the version for MacBook Pro 13-inch. A good way to think about the Outback Solo is as a minimal messenger. It holds no more than the essentials for your everyday carry. 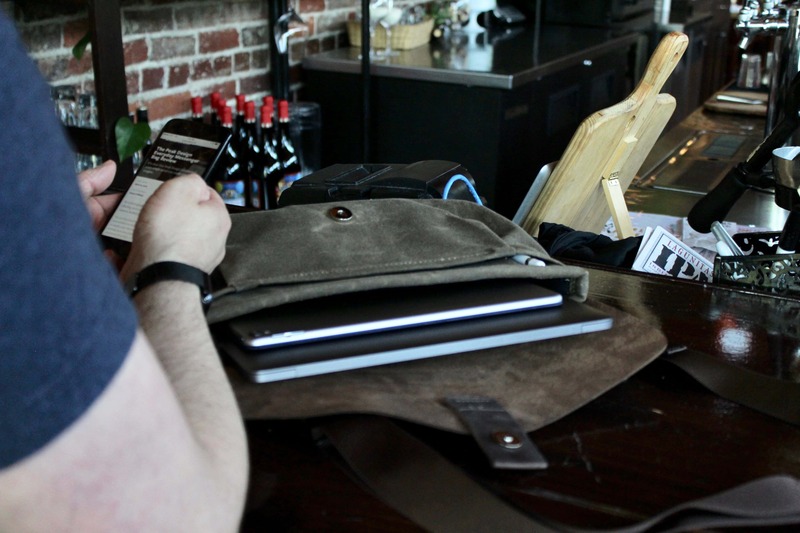 The Outback Solo is a minimal messenger bag, capable of carrying a laptop, notebook, and few further odds and ends. 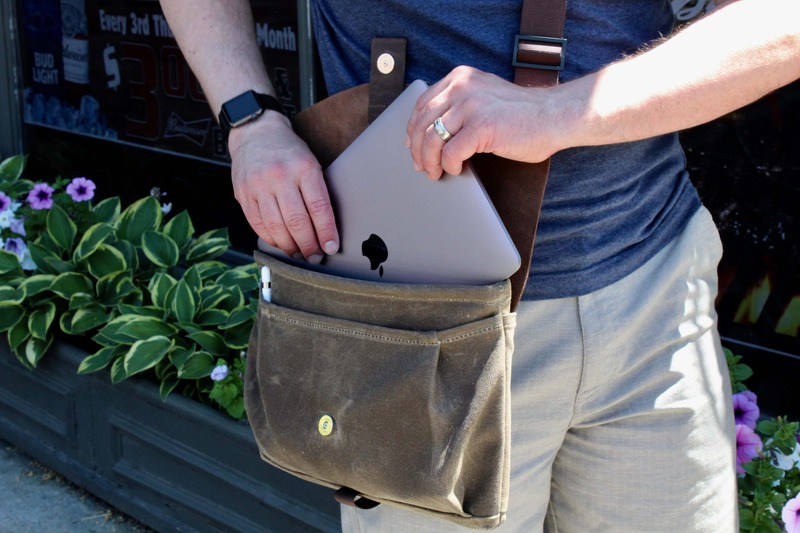 The main pocket is large enough for a MacBook and an iPad Pro (mine’s a 10.5-inch but I’d wager a 12.9-inch would fit) or any single device up to the size of a MacBook Pro 13-inch. My wife’s 13-inch MacBook Air, for instance, is too wide to fit. It’s not spacious (unless you’ve only brought the iPad that day) and isn’t meant to be. The front pocket is unlike any bag pocket I’ve seen before (in neither a good way or bad, though the novelty of it is interesting). 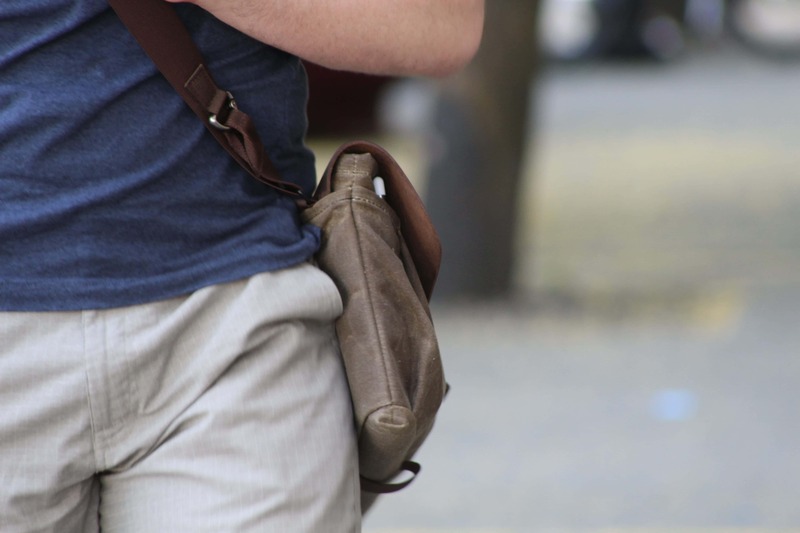 It is sewn to appear almost like a pouch or collapsible pocket when it is actually fixed in size. 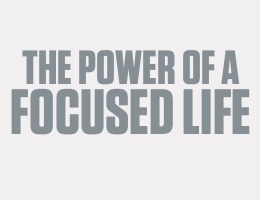 There’s plenty of room for all manner of small items, but your eye tells you it will expand more than it does. 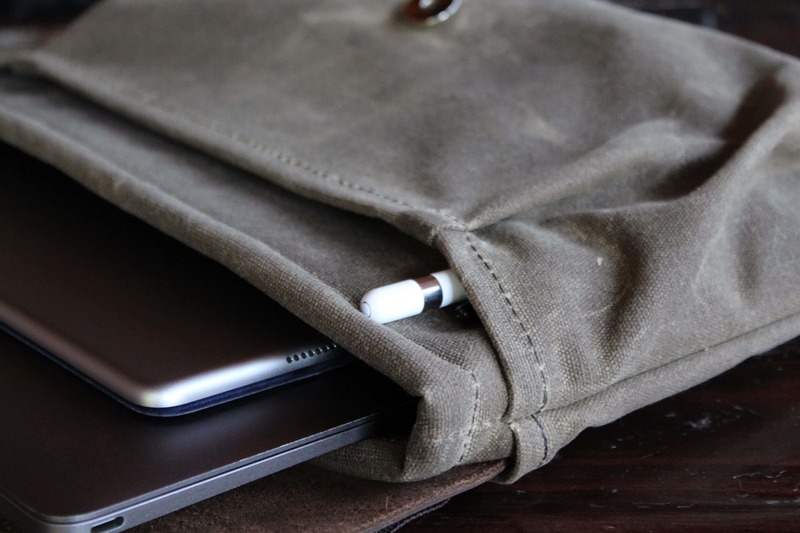 Inside, there are suede pockets for your iPhone and Apple Pencil which keep your devices scratch-free and pristine. 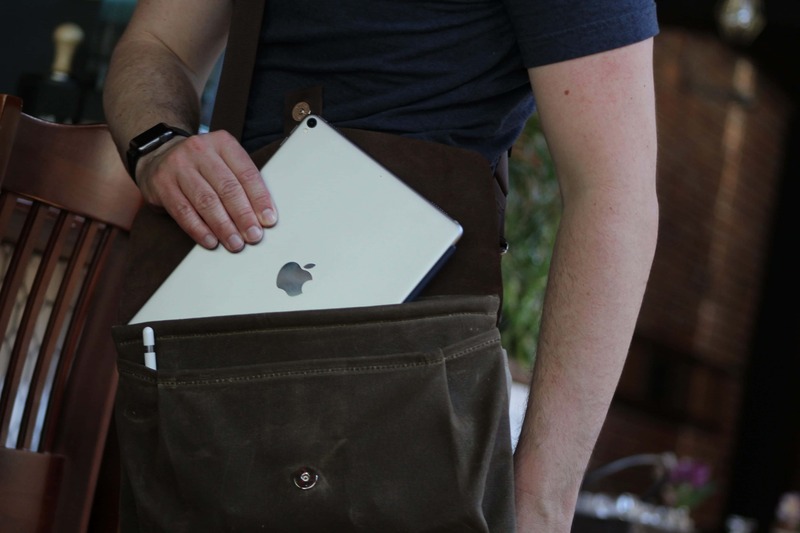 Inside the front pocket are two sleeves: one for your iPhone and one for an Apple Pencil. 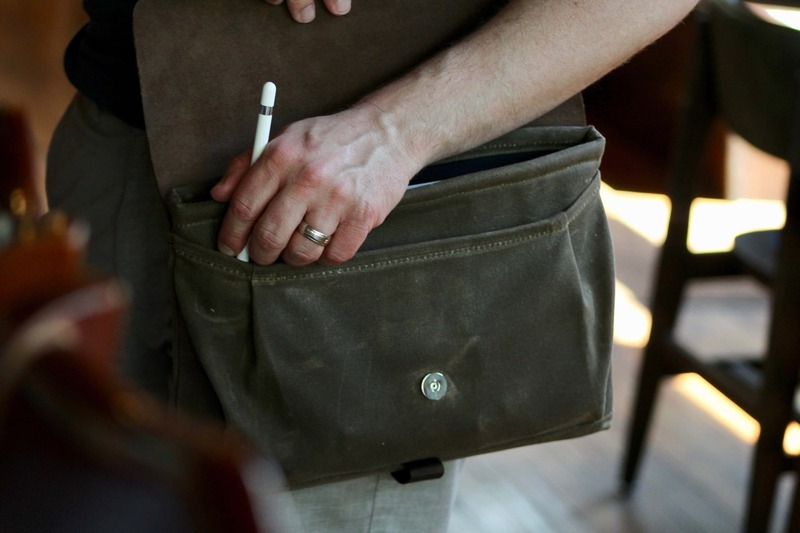 Now of course these sleeves can be used for any device that will fit or any pen or pencil you’d like to carry along, but the Solo is clearly pitched as a bag for tablet or thin-and-light laptop users. The device selection at purchase also specifies models made for Microsoft Surface and its accompanying accessories (as well as a size for the 15-inch MacBook Pro). The last pocket is on the back and really isn’t good for much. A Kindle Paperwhite might fit and I’ve carried snail mail envelopes in it. I suspect for me, it will slowly fill with gradation announcements and senior pictures from the high school students I teach at my day job. Paper receipts would also fit, and I could see them accumulating there, but this isn’t a practical pocket for full-size printed documents. It also doesn’t seal, so if you expect to spend time out in the weather, I wouldn’t trust it for more than a short time. To call the materials used in the Solo’s construction high quality is to do them a disservice. To my eye and hand, these materials are of the highest quality. Everything about this bag is proudly, unabashedly premium. The Outback Solo’s leather manufacture is of the highest quality. Now, with that being said, I am a layman in terms of cloth and leather manufacture. Take my words with that in mind. However, of all the bags, backpacks, and cases I’ve owned, and of all those I can remember my wife owning, the Solo’s material quality blows them away. The front flap is made of thick, full-grain leather. The flap that closes the case is thick full-grain leather with an ever so slightly distressed finish on the top and soft unfinished texture beneath. The product description calls the color chocolate — which is accurate — and the smell is just beautiful, beautiful leather. It is sewn securely at the back of the case outside the main pocket and inside the outer sleeve. The WaterField name and “Made in SF” are etched just above the pull tab, which is made of the same leather, though finished on both sides. It is this material the wearer has the most frequent contact with — an excellent choice. Each time you open the bag, you’re irresistibly reminded of its quality. 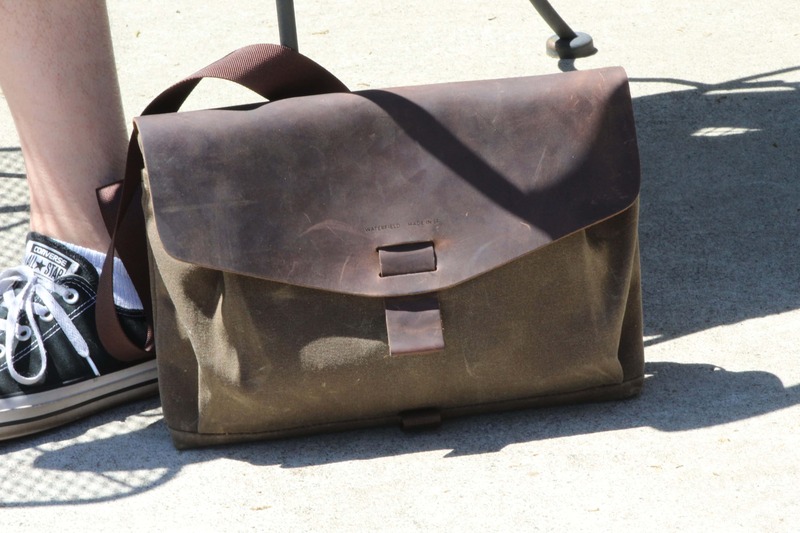 The Solo’s body is made of waxed canvas. 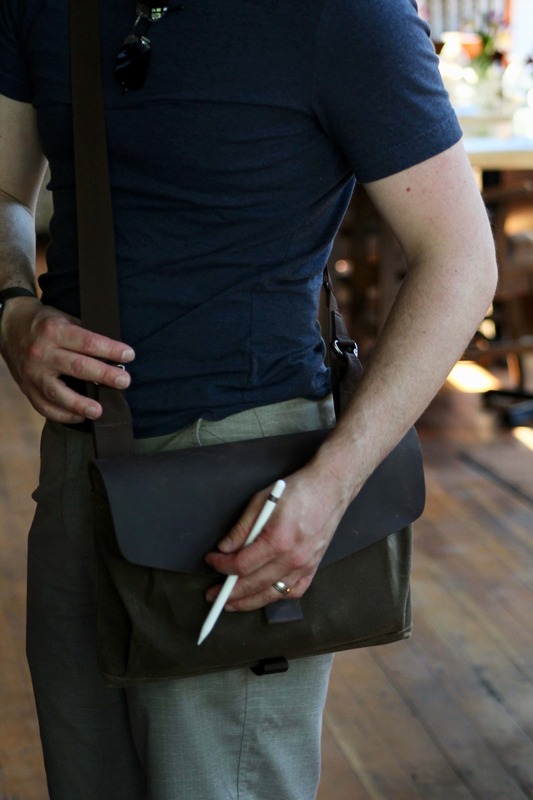 The body of the Solo (as well as the front pouch pocket) is made of waxed canvas. The seams are tight and straight, but somehow feel different from other clothing and bags — more human, less rigidly mechanical. 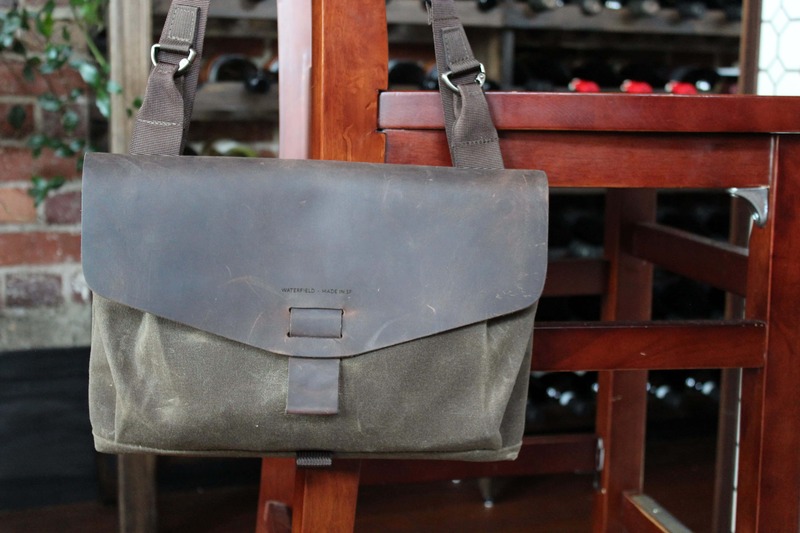 The canvas also has a slightly distressed finish which suggests the bag will age well. Some materials, like the nylon of my previous bag, become tattered, frayed, or unpleasantly worn. The Solo wants to be tossed around, scuffed up, and given all manner of character through use. 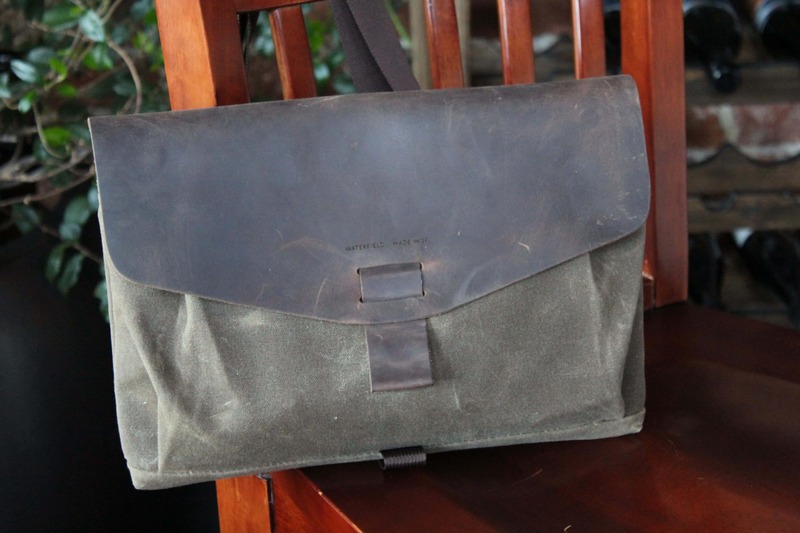 It’s the kind of bag whose wear will tell its story, speak of its travels, and generally build up personality in a way the average laptop case just won’t. The inner lining of the main pocket is smooth black neoprene like that of many other laptop and tablet sleeve cases. It is strictly utilitarian, in that you generally don’t see it or even feel it. 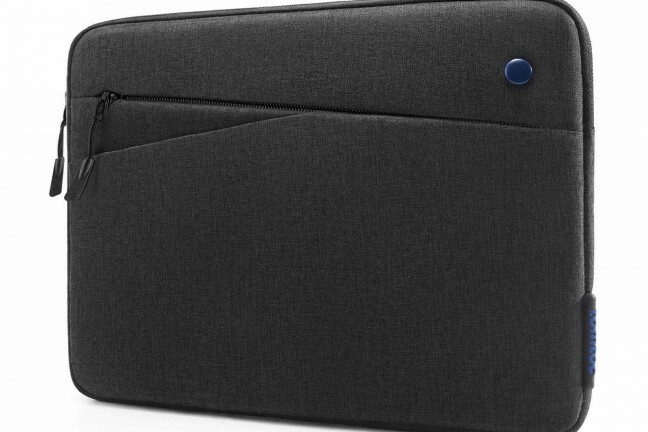 The devices fit snugly, and though I wouldn’t trust an open screened iPad to any bag pocket without a cover, I have no doubt that for most, this fabric would be more than adequate to toss in a naked iPad without fear of scratches. 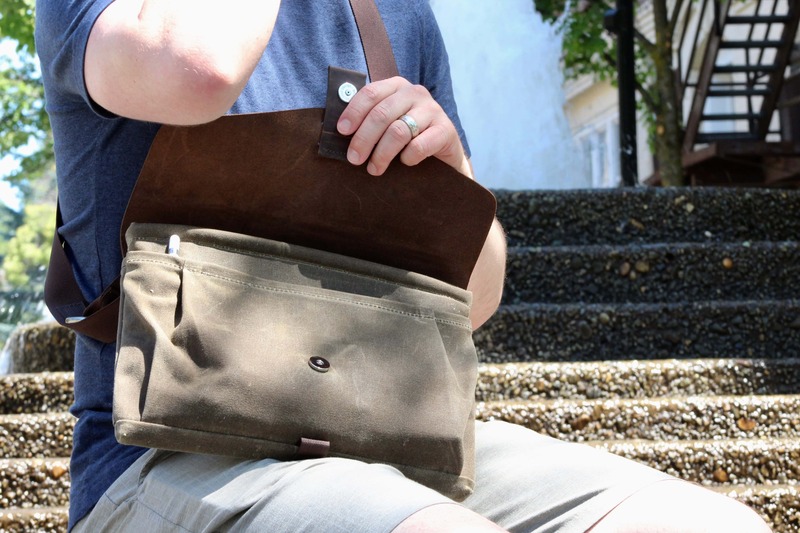 WaterField calls the fabric “shock-absorbing neoprene”, and though I wouldn’t intentionally drop it down a flight of stairs, I’m confident my devices will remain unmarred by the bump and jostle of everyday use. Then there are the suede (scratch-free Ultrasuede® to be specific) pockets inside the front pouch. These are very soft, meant to hold your phone and an Apple Pencil. 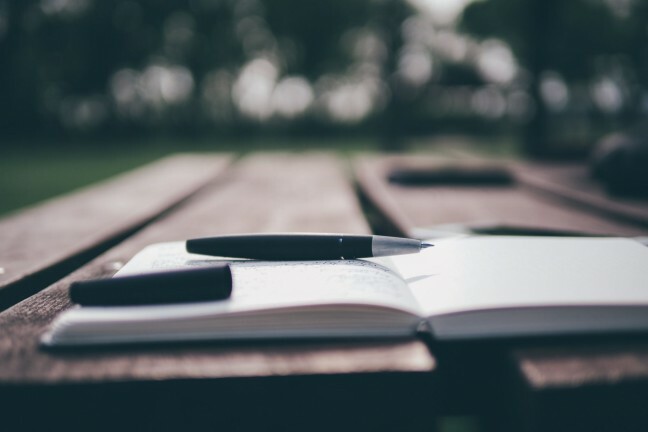 I for one am not worried about scratches on the Pencil, but in addition to being soft, the material has a tackiness that holds the devices in place without being so tight that you meet resistance sliding things in or out. There’s also a strip of this material sewn to the front inside of the pouch, presumably to cover the back of the bag’s fastener. The fastener is made of a rare-earth magnet and is very strong — almost too strong, in some circumstances. 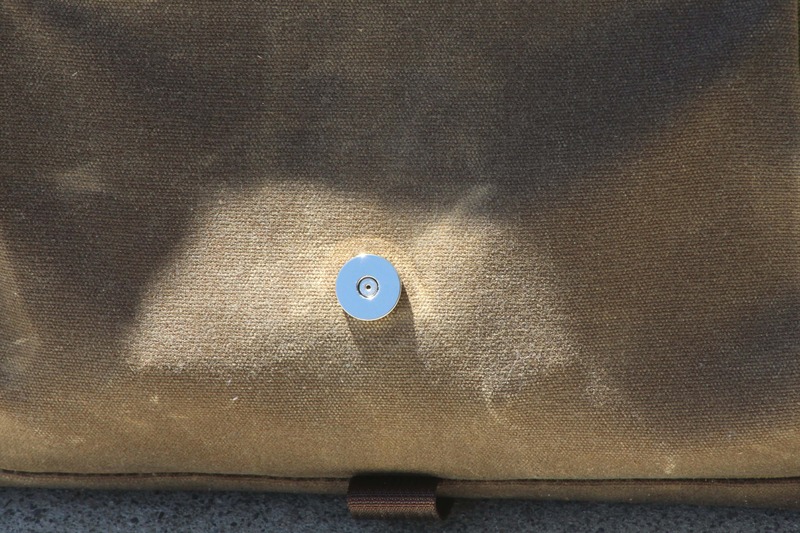 As for the fastener itself, WaterField has chosen a rare-earth magnet snap. The magnet holds the fastener shut, and powerfully, but it takes practice to get it to fall fully into place. In fact, the magnet may be too powerful. Pulling the tab open sometimes requires a second try and more force than seems necessary. On one hand, it’s very secure. You won’t be losing your devices even if you flip the whole bag upside down and shake it. On the other hand, flipping your bag upside down is not a very common situation, whereas opening and closing the bag is probably the most common thing you’ll be doing with it. The strap is made of a tightly woven brown nylon. Finally there’s the strap, base pull tab, buckle, and d-ring clips. The strap is long, pliable, and soft right out of the packaging. 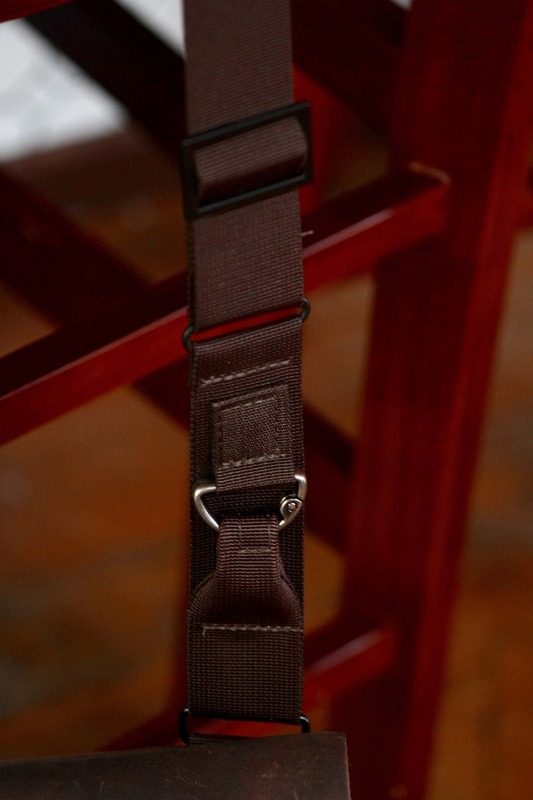 The strap is tightly woven brown nylon. It is pliable and soft right out of the packaging, and though not ideal against bare skin, it isn’t stiff and plasticky like some straps. Its buckle is metallic but doesn’t stick to the clasp magnet (a nice touch), and the same is true for the two clips that attach the shoulder strap to the metal loops on the back of the case. The Outback Solo has two pull tabs — one for opening the front flap and another on the bottom of the bag (as seen above). The pull tab on the bottom is used for pulling out tightly-fit devices in the bag. Last is the base pull tab which I include because, at first, I couldn’t figure out why it was there. 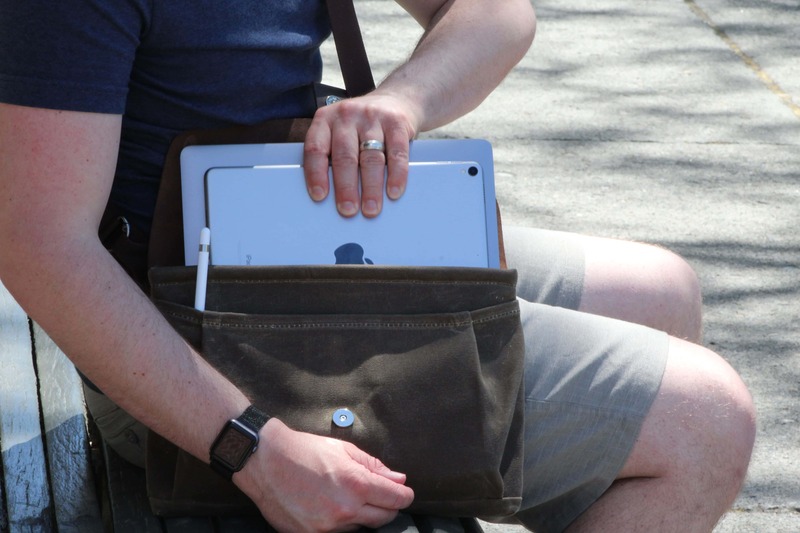 The tab, a simple woven nylon loop attached to the bottom of the bag, provides a place to gain leverage when removing a device that fits too snugly inside the main pocket. Neither my laptop or iPad are large enough to need such a feature, but it would be a nice solution if I had a larger device. There are only a couple things I would change about the Solo if given the chance. Frankly, the strength of the magnetic clasp is just too strong for proper use. The first is the strength or design of the magnetic clasp. I’d suggest opening up the bottom area so the magnet could more easily slide off rather than popping straight up (where magnets hold the strongest). The open and close mechanism is really the thing that this bag should be designed to do best, and as it is, there’s just a bit too much resistance. The Outback Solo could use a few more sleeves in the pouch pocket. The second is the number of sleeves in the pouch pocket. There’s one for a phone and one for a pen, but this seems a bit like minimalism just for the sake of it. The Solo would still be a perfectly minimal bag even if it had suede pockets on either side of the pouch. It could also gain a nice visual symmetry. Mostly, I just want another pocket for my wallet, keys, or other small items that I’d rather not just have loose in the larger pouch area. Overall, the Solo is a great bag for just what you need everyday and nothing more. Waterfield Design’s Outback Solo does a great job in staying small, thin, light, and minimal, while still carrying my refined list of everyday carry needs. It’s sleek and stylish, modern and timeless, sturdy and strong, while still being lightweight and made with the utmost care. At $159, it is premium priced, though I appreciate it isn’t luxury priced, as many of its components feel as if they could be. 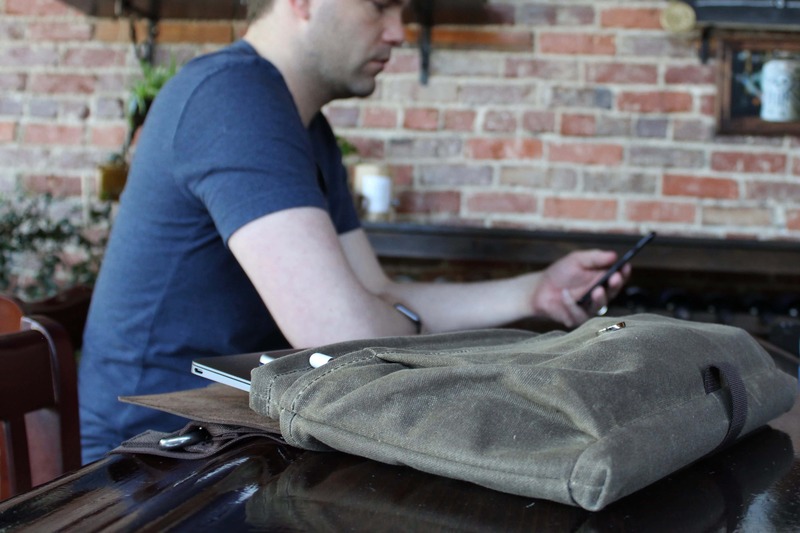 Whether you’re headed to work or headed to the coffee shop for the afternoon, the Waterfield Designs Outback Solo will fit your required silhouette wonderfully. For the first time, I’m genuinely excited about the bag I’m carrying. I have what I need, and a minimal messenger silhouette to match. If the concept of a minimal daily carry — that gives constant little reminders of how special it is — appeals to you, I strongly recommend the Outback Solo by WaterField.